only one week , i'm impress!! I think I've watched this movie twice since this figure arrived in the mail. Movie quality detail all the way down to the 1:6 removable bullets. Great Job! The figure is amazing! A real gem and a must buy for all fans of the original film. A true tribute to Alex. All details are carefully made, whole figure is perfect. I love this collector's item. The figure is amazing! A real gem and a must buy for all fans of the original film. A true tribute to Snake Plissken. All details are carefully made, whole figure is perfect. I love this collector's item. Sideshow, you guy's and gal's are, A Number 1. 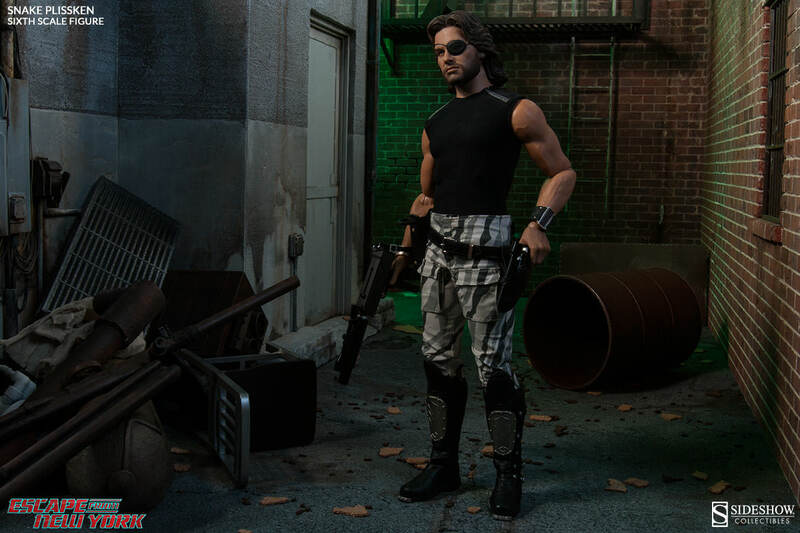 This Snake Plissken fig. Is awesome. Nuff said. Wonderful figure! 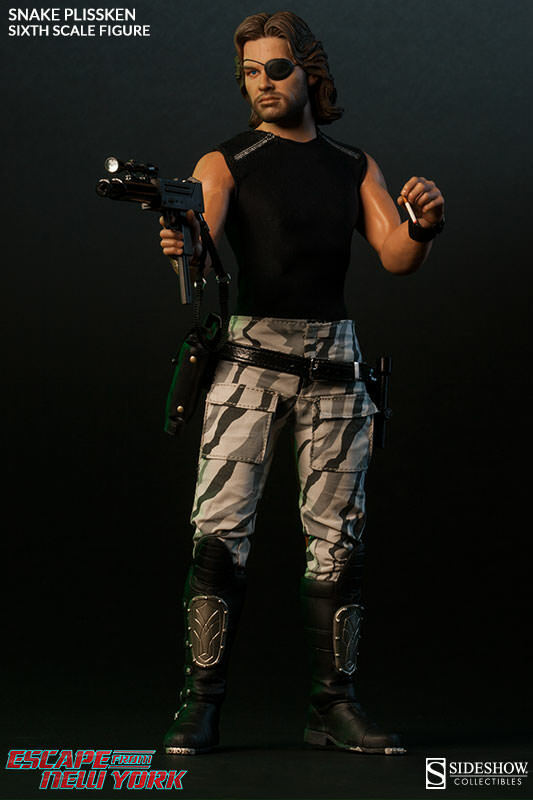 One of the best to be turned out by Sideshow. Keep up the great work! Maybe we will see an Adrian Barbeau, cleavage version to go with him???? Awesome figure of 1 of my favourite 80's characters hoping you can do more cool 80's characters I'd love to see a Roddy Pipper figure from They live one day? I've been waiting since 1982 for this and now that it's here, I can't say enough good things about it. It's almost creepy how much it looks like Kurt Russell from certain angles, in certain lighting. The holster flaps could close easier, but that would be my only complaint. I LOVE this figure!! 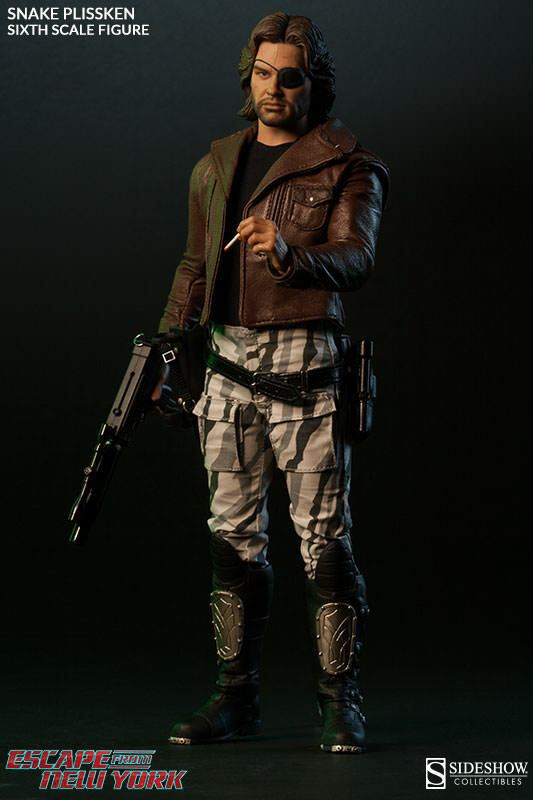 Awesome figure as usual from Sideshow! 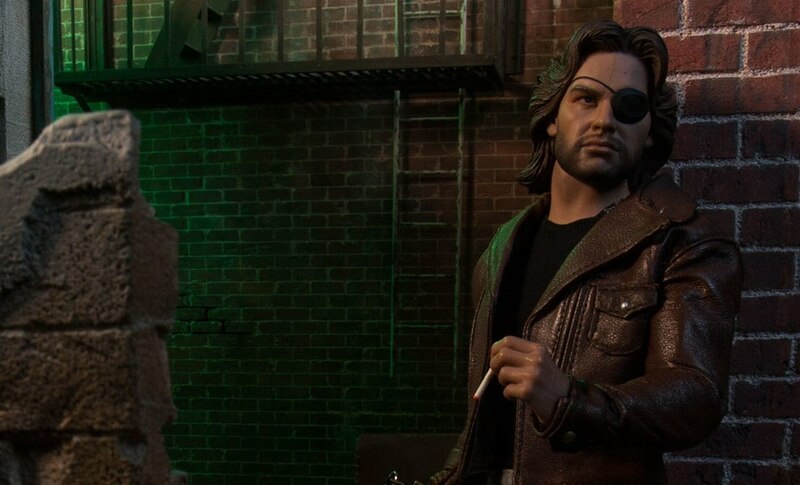 Amazing likenesses of Kurt Russell as Snake Plissken. 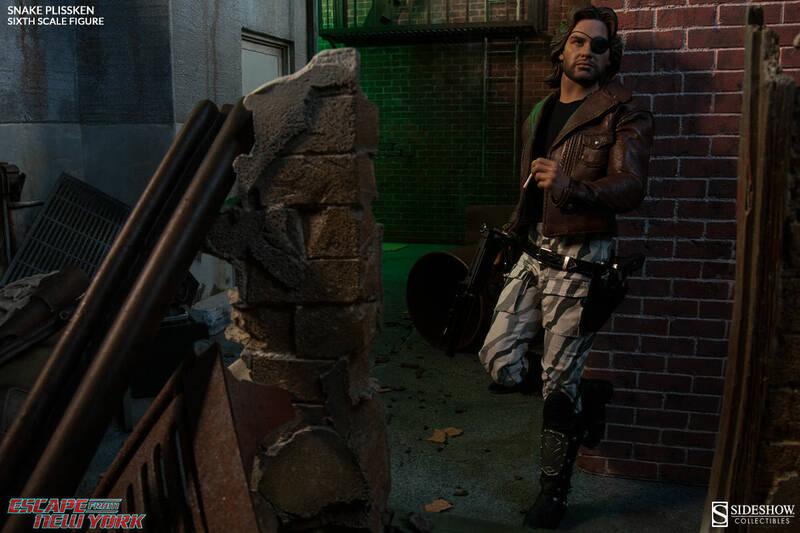 Love this figure, a must for any fan of "Escape from New York". Thanks again Sideshow Collectibles! 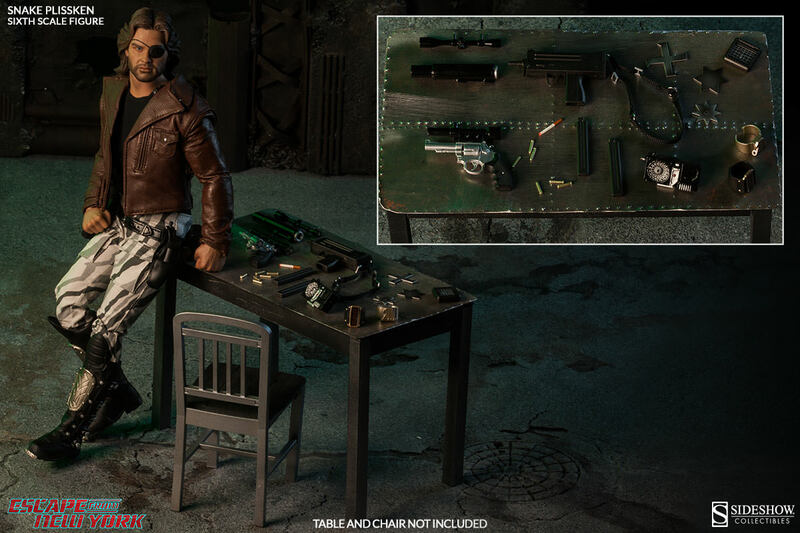 This is a great version of Snake and it has so many little details. The handgun cylinder can come out - as can the 6 bullets. His countdown clock and other details are perfect. Now we need Cabby! 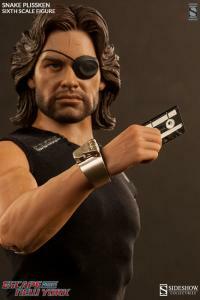 SD Plissken worth the wait! All the delays were well worth the wait All the details and accessories needed for the main who crashed a glider into NY and escaped NY over all wall. Take that Duke of NY, ayyyy #1! One Of Sideshow's Best So Far! 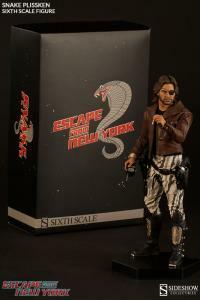 Sideshow's Snake Plissken is one of my new Favorites in my collection. 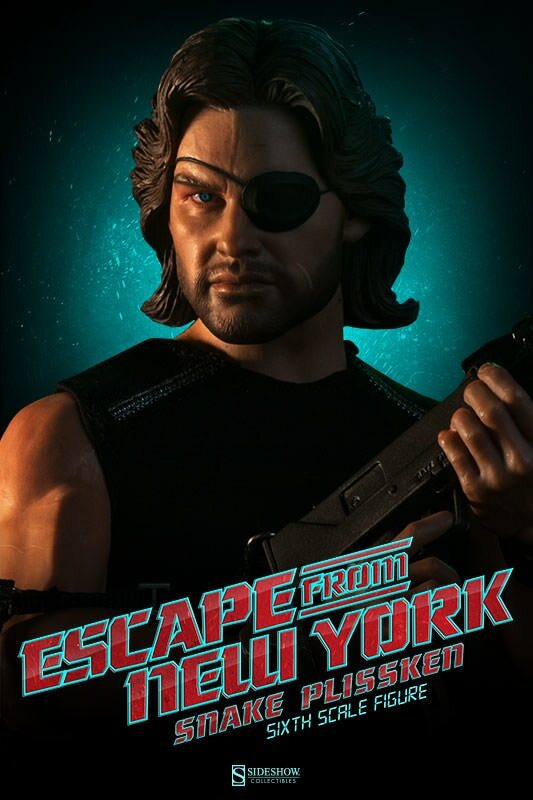 Great head sculpt and spot-on likeness to Kurt Russell! The quality of the paint apps is excellent and just as good as Hot Toys and other high end collectibles. The leather jacket and clothing are also excellent. Recommended!! Awesome figure. I've been waiting a long time for this one and you finally made it. Thank you very much. One of my favorite films & movie characters this Sideshow figure is simply Snaktastic! The likeness to Kurt Russell is uncanny and the clothing is movie accurate as well as the accessories! 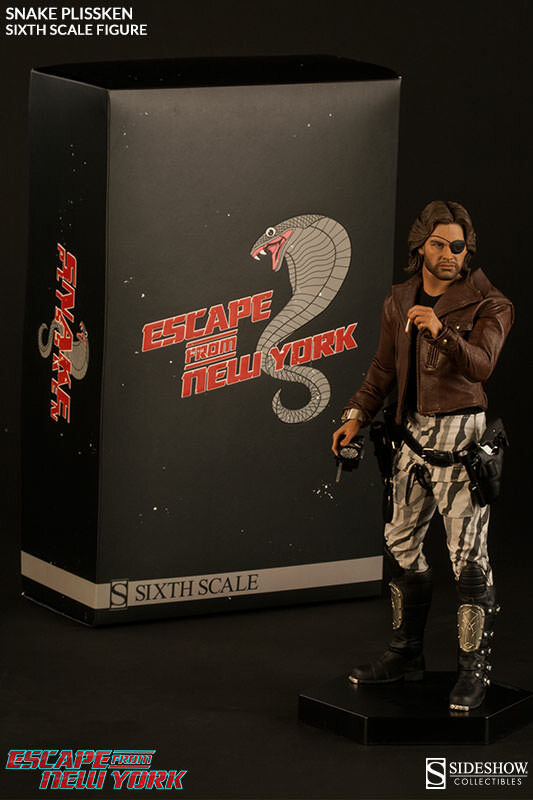 The one surprise was the boxing and the original art, a must own figure for any fan of Snake Plissken! Snake looks fabulous. And I've never had a Sideshow doll with SO MANY ACCESSORIES!!! I don't even know how to display them all. He is great! Spot on sculpting. He is the most detailed figure I own so far. 300 characters to capitalize on the awesomeness of this 1/6th hero isn't enough. Well, for starts, all the accessories are killer, as is Snake's tattoo. It's as if Kurt Russell stepped off the screen. 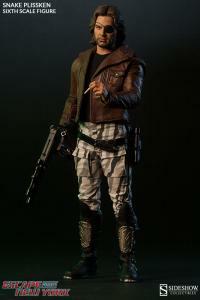 Hey Sideshow...how about MacReady from The Thing next? I waited sooo long for this figure to be made, and Sideshow didn't disappoint. I just can't wait to get my second one so I can do an LA version. This figure is fantastic. Weapons and accessories are spot on. 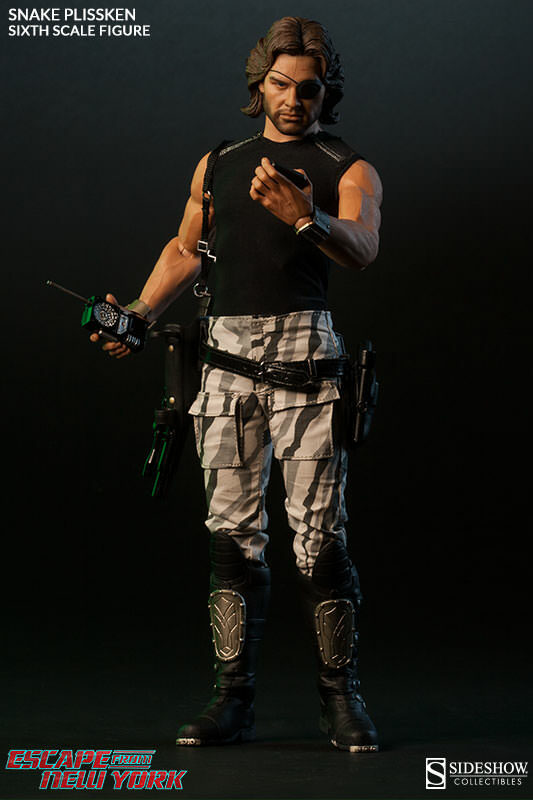 Would have been nice to have magnets on the holsters and pouches. Love the boots, though a two piece boot would have allowed more posing possibilities. Head script is great and the new body looks very cool. Call him Snake! I saw a lot of pictures of this on Instagram and elsewhere and was a little apprehensive, they weren't what I was hoping for. BUT in hand, 100% the best! Out of the box mine was perfect. I only wish holsters used magnets vs. plastic/delicate tabs. Amazing dudes and dudettes! This is the cream of the crop for me! 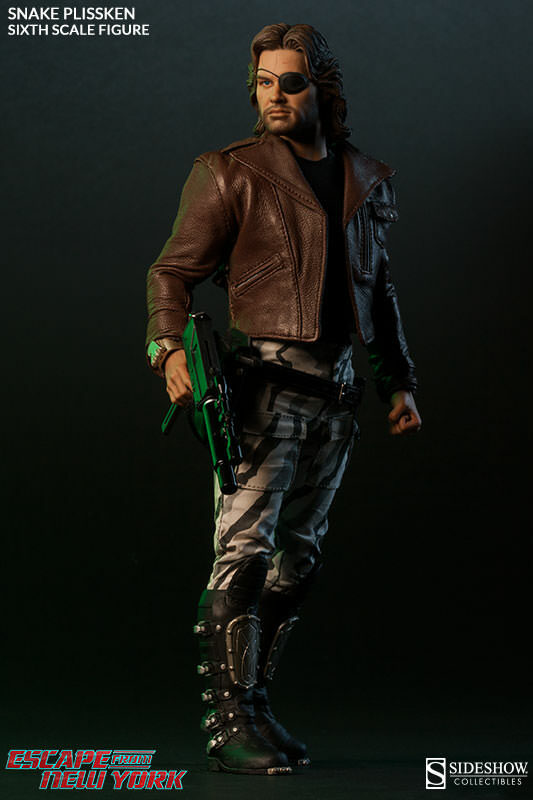 Snake is my favorite character of all time,everything from his clothes to to his sculptured head are movie accurate.The only thing i have a problem with was the base.The movie title which is on the base should've been in red not black,since the base is black.